These recipes first appeared in The Irish Independent’s Insider magazine on Thursday 22nd May. We’re all about BBQs at forkful but if the weather doesn’t permit we like to bring the flavours of grilled food indoors by dusting off our trusty griddle pan. We’ve put together a summer platter for you that works equally well when cooked on a BBQ or a stove, a griddle or a frying pan. 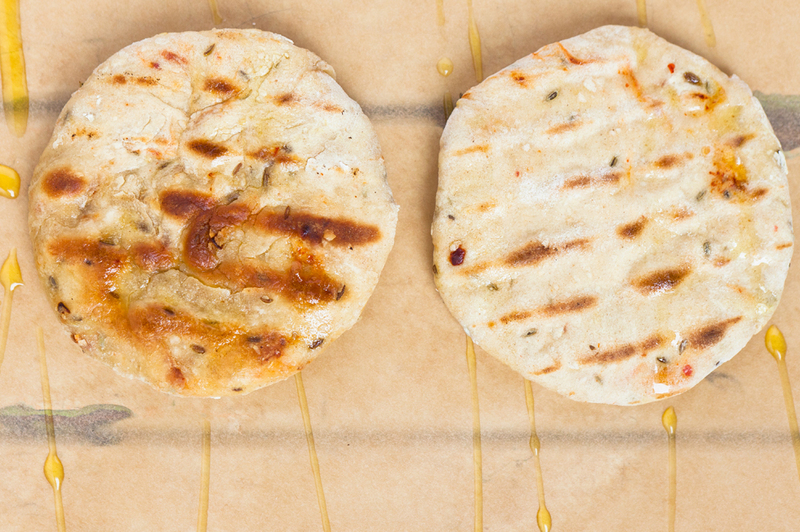 This recipe makes four little flatbreads but is easily doubled if you’re cooking for a crowd. In a large bowl, mix together the self-raising flour, baking powder, cumin seeds, chilli flakes and a good pinch of sea salt. Gradually add the warm water, working the ingredients together with your hands until a dough comes together. Lightly flour a clean surface and transfer the dough onto it. Knead it for a few minutes until the dough is soft. 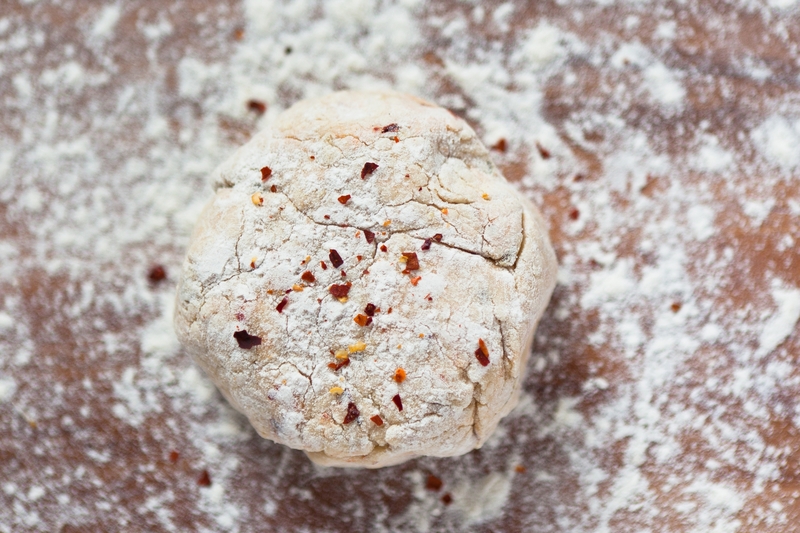 Divide the dough into four and roll into small balls. Use a rolling pin to flatten each piece into four, small rounds. Heat some olive oil on your griddle or frying pan over a medium to high heat. Cook the flatbreads for about 8 minutes on each side, until golden and cooked through. 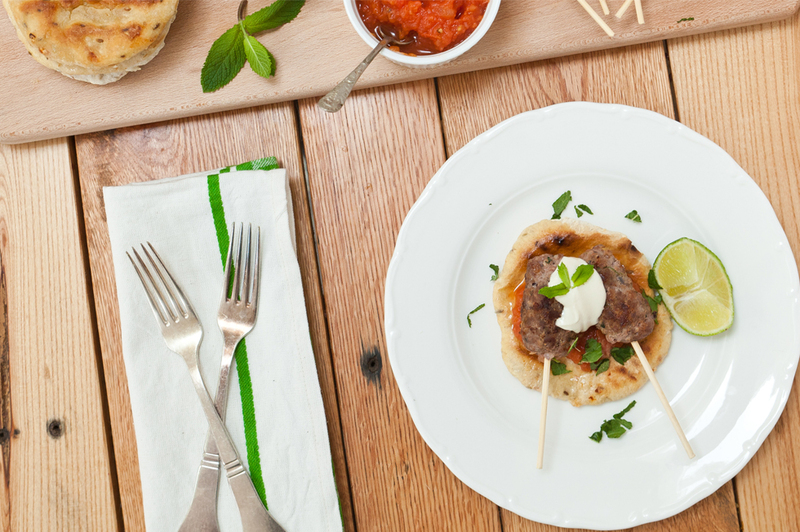 Serve your flatbread as a side to a salad or soup, or with our lamb koftas. Ras El-Hanout is a North African spice mix that is constantly in need of replenishment in the forkful kitchen. It’s a fragrant combination of cardamom, clove, cinnamon, corianda, cumin, paprika and more. We love throwing it into Moroccan style tagines or making a spicy tomato sauce for our baked eggs. Start by making your tomato sauce. Heat a drizzle of olive oil in a small frying pan and fry the garlic and chilli for 2 to 3 minutes until they’ve started to smell lovely. Add the half tin of chopped tomatoes and the brown sugar before adding a pinch of salt and pepper. Stir and then simmer over a steady heat and allow to reduce to a thick, glossy sauce while you prepare your koftas. Mix all of the kofta ingredients together in a large bowl, using your hands to combine everything really well. Koftas have come to be identified with a long, finger shaped meatball so that’s how we make ours. Once you’ve got them into shape, heat a bit of olive oil in a large griddle or frying pan over a medium to high heat and cook the koftas for around 8 minutes until well browned on the outside and cooked to your liking on the inside. Prepare your tahini dressing by mixing the Greek yogurt and the tahini together. Serve your koftas on our flatbreads (or your favourite pittas) with a spoonful of your tomato sauce and a dollop of the tahini dressing. Finish with a sprinkling of freshly chopped mint and a slice of lime on the side.